Say goodbye to cookie-cutter treatments! The Dermalogica Skin Treatment is 100% customised to your skin needs based on consultation and a thorough, zone-by-zone Face Mapping® skin analysis, making it one treatment… that’s different every time! 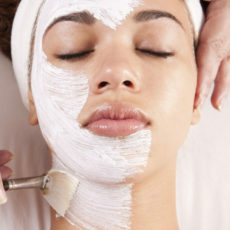 Totally designed to meet your needs, each treatment includes professional double cleansing, exfoliation, extractions (as needed), masque, toner and skin protection. The Ultimate Dermalogica Experience. 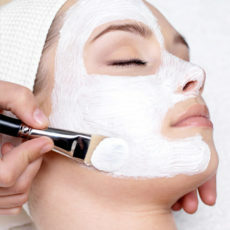 A Skin treatment that starts with a 15 minute back, neck and shoulder massage. This amazing treatment will leave you with a clear, hydrated and refreshed complexion and the added benefit of 15 minutes of extra attention where we need it most. Want a professional skin treatment but short on time? Get on-the-spot skin solutions with a MicroZone® treatment. We’ll address your top skin concern, hands-on– the quick fix for troubled skin. After consultation and Face Mapping® skin analysis we will determine your skins most pertinent skin needs and focus on key stages of treatment to get you maximum results in a minimum of time. Dermalogica Skin Therapist will diagnose your skin’s concerns and prescribe a no-nonsense home care and treatment regimen to deliver your optimum skin health in your 14 unique zones. A professional consultation that reveals your skin’s past, present… and healthiest future. Call (+44) 020 8788 5619 or press the button below.